Our church family at West Main in Lewisville is engaged in reading through the New Testament this year. Currently, we are in the book of Acts. I noticed a concept in yesterday’s reading that is a prevailing theme, not only in Acts but throughout the Bible. When the apostle Paul began his third missionary journey, Luke records that “After spending some time there, he departed and went from one place to the next through the region of Galatia and Phrygia, strengthening all the disciples” (Ax 18:23). Guess what Paul and Barnabas did as they wrapped up their first missionary journey? “When they had preached the gospel to that city and had made many disciples, they returned to Lystra and to Iconium and to Antioch, strengthening the souls of the disciples, encouraging them to continue in the faith, and saying that through many tribulations we must enter the kingdom of God. (Ax. 14:21-23). These preachers were following both parts of Jesus’ great commission. “Go therefore and make disciples of all the nations, baptizing them in the name of the Father and of the Son and of the Holy Spirit, teaching them to observe all things that I have commanded you; and lo, I am with you always, even to the end of the age” (Matt 28:19-20). The ministry of the gospel not only involves preaching to those who are lost and converting them to Christ but also teaching them after they become Christians. Strengthening souls is the work of edification. For the church to be strengthened, individual disciples must be strengthened. This doesn’t happen accidentally. There must be both a collective and personal focus. Shepherds in churches have a great responsibility in feeding the flock of God and to provide spiritual food to strengthen the disciples. Carnal programs and secular activities will not accomplish this goal. Our faith only grows stronger through the Word of God (Rom. 10:17). This means a well planned Bible curriculum that teaches all ages and strengthens the young as well as the older members. It involves working with the preacher to see that preaching from the pulpit is biblical and balanced with both the milk and the meat of the Word. Special series that address current challenges and spiritual needs are important to strengthen souls. These will change with time and vary from congregation to congregation, but eventually, the whole counsel of God will be presented to strengthen the church. 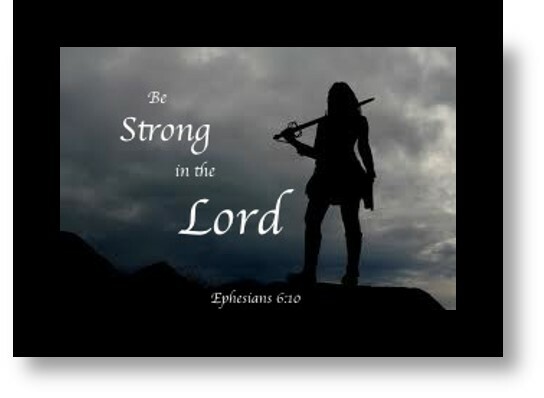 Of course, we have a personal responsibility to “be strong in the Lord” (Eph 6:10). The Shepherds can provide spiritual food for me, but I must read the Bible for myself. I must study. Meditate. Learn. And apply the principles of scripture. My soul is strengthened when I take worship seriously, both collectively with the saints, and in my own daily prayer life. I am strengthened as I engage in ministry, participate in fellowship, share the Word with others, and seek to become more like Christ in my daily walk. Strengthening our souls is a process. It does not occur at a single event. Don’t be discouraged about your progress. Keep working. Studying. Praying. Learning. Fellowshiping. Worshiping. Over the course of time with regular spiritual exercise, you will grow as a disciple of Christ. Be aware of the temptations to impede your growth. Be alert to Satan’s subtle and shrewd schemes to sidetrack you and subvert your salvation. Be intentional in your discipleship. Strengthening our souls will require a lifetime of dedication. But it will be eternally worth it. Thanks for the insight and encouragement.